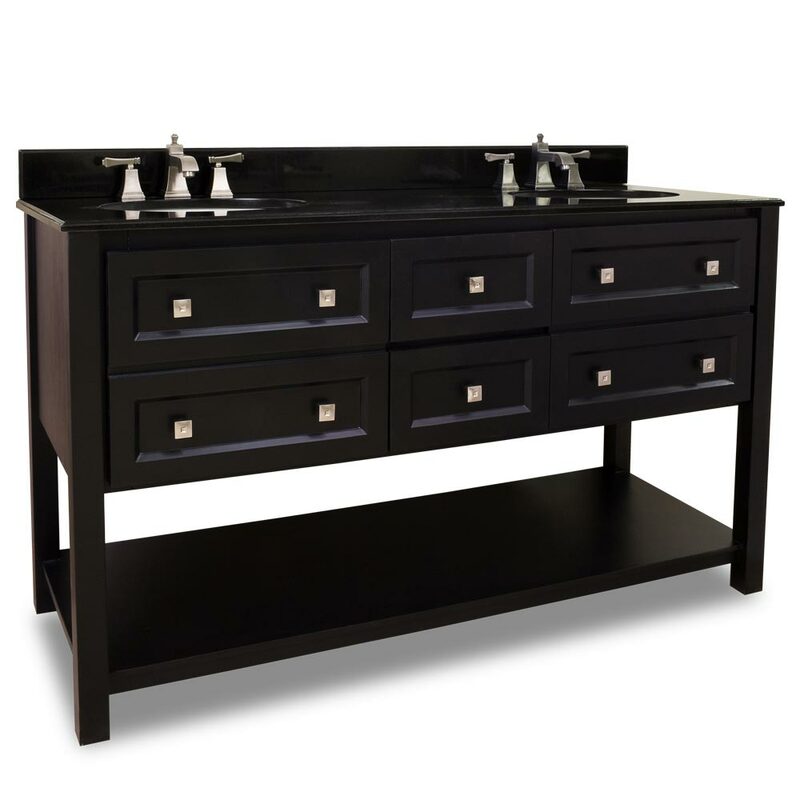 For a bold look for your bathroom renovation, the 60" Aliso Creek Double Sink Vanity offers just that and more. 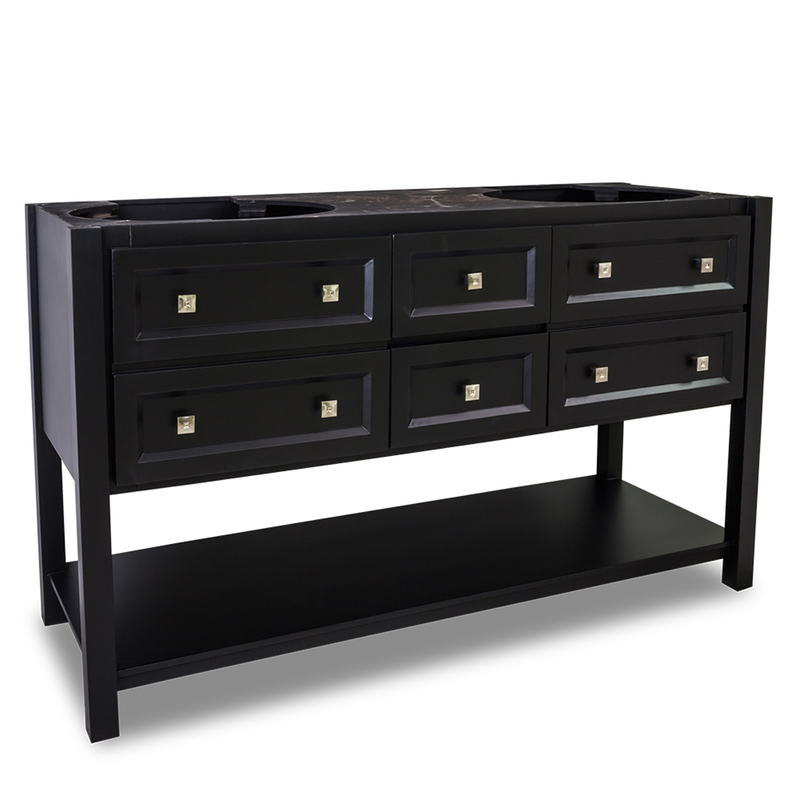 The sleekness of its gorgeous black finish is complemented by the double satin-finished nickel drawer knobs on each side and single drawer knobs for the central drawers. Each side of the Aliso Creek offers a single-door cabinet with faux drawer fronts, along with 2 functional central drawers for plenty of space for your bathroom essentials. 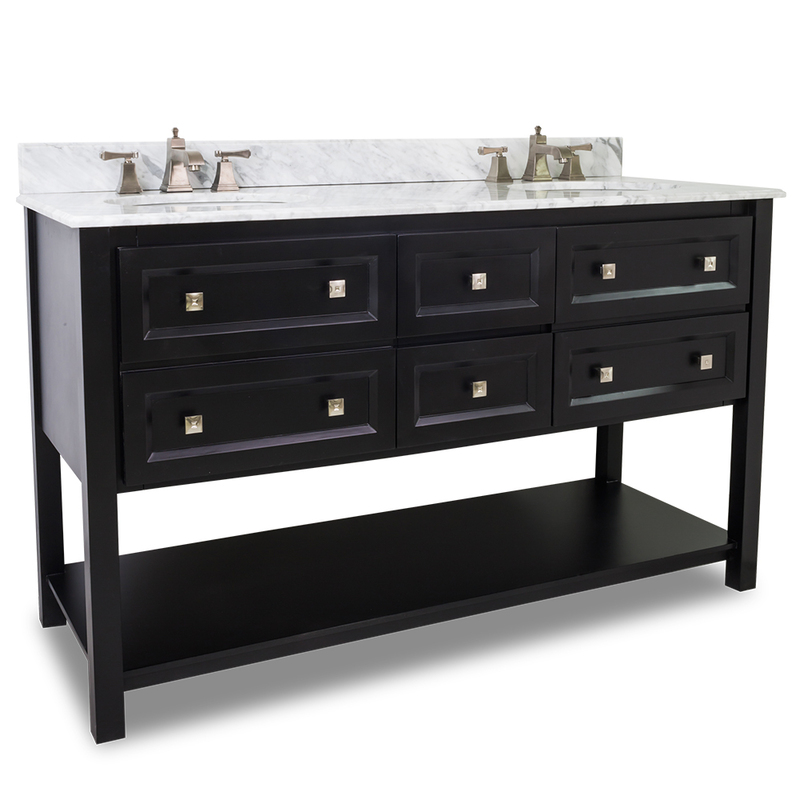 The open-style bottom of the Aliso Creek Double Vanity also offers a lower shelf to give you space to store towels and accent pieces. To finish off the sophisticated look of the Aliso Creek, a thick black granite or white marble countertop gives the Aliso Creek a gleaming finishing touch, with tons of room for more display space!